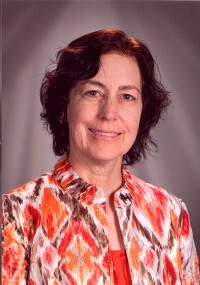 Linda Higgins has a passion for good teaching which she defines as teaching that reaches the hearts, souls, and minds of the learner. During the last few years of her career, she became very uncomfortable with the data driven mentality imposed by the administration in her school district and by so many others marching to the beat of the CCSS drum. During thirty-four years of teaching covering all grade levels and using the curriculums of four different states, Linda’s perspective has never wavered. Students and teachers both need opportunities to be creative and explore through a variety of interests and modalities. Because teachers are very busy people, these blog posts will be brief, usually recording midnight thoughts about the direction of education. She hopes this blog will encourage others who sometimes feel as if they were cast as “The Lone Dissenter” in a grade B movie. Hi Linda. I’ve invited you to join a 3 day quote challenge. I haven’t been following for long, but I imagine you could come up with some fabulous quotes on Education, or what inspires you. There is no obligation at all. If you don’t want to participate, please accept the honor of being invited😊. Thankscfor the visit and follow.. With out education mankind would still becin the dark. Hi LInda, I am glad I found you. I very much share your educational philosophy, and I will enjoy exploring your blog further. Happy Thanksgiving! Dear Linda, I have nominated you for a Mystery Blogger Award. Here is the link https://koolkosherkitchen.wordpress.com/2016/12/06/three-awards-and-a-thai-style-chicken/. You are not in any way obligated to accept, and I fully understand that not everyone has the time and inclination to participate in these self-and-others-promoting exercises. Therefore, I will truly appreciate if you accept the nomination, as I sincerely think you deserve it, but I won’t get offended if you don’t. Nominating each one of you is my way of giving credit to some exceptional bloggers and perhaps attracting attention to your work. Thank you for the nomination. I appreciate your thinking of me, but I am already struggling with my own blog posts and reading and responding to others’ posts. The blogging world is a busy one! I am enjoying reading your blog! I fully understand. As I said, this is my way of bringing people’s attention to some exceptional bloggers out there, and you are certainly one of them! Thank you for your kind words! When I first started my blog posts two years ago, the subtitle was “The Importance of Reading with Children at an Early Age”. I think you and I agree on this critical issue and on encouraging the creative spirit within all students. Absolutely agree! My original subtitle focused on developmentally appropriate education, but I have since expanded my topics. There is nothing more important than reading, and teaching and learning should be creative with the end goal of creating life long learners. Hi Linda, I hadn’t read your About page yet and so happy to meet another educator! I see that your MS is from CAL in Reading. Both my brother and cousin have their specialties in reading, both now with PhDs and working in the field. I teach at the university level as a lecturer–best job ever! Linda, it’s a pleasure to have this connection and I’d like to thank you for your visit and the follow. I look forward to reading more of your blog.